At the heart of it all is the town square, called simply "The Square" where a variety of restaurants that are sure to cover every possible taste your palette craves. Ole Miss sporting events are popular throughout the year. Enjoy an Ole Miss baseball game on a warm summer evening at Swayze Field. 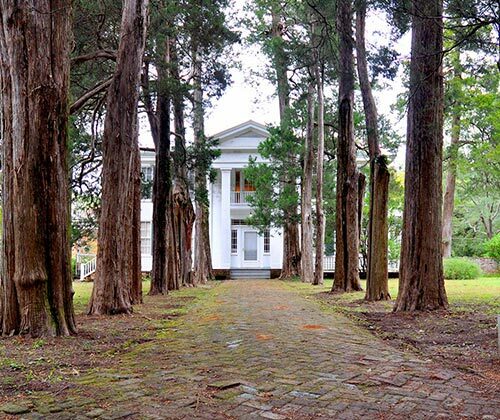 Rowan Oak, the historic home and estate of novelist William Faulkner, is located directly adjacent to the town square and the Ole Miss campus. 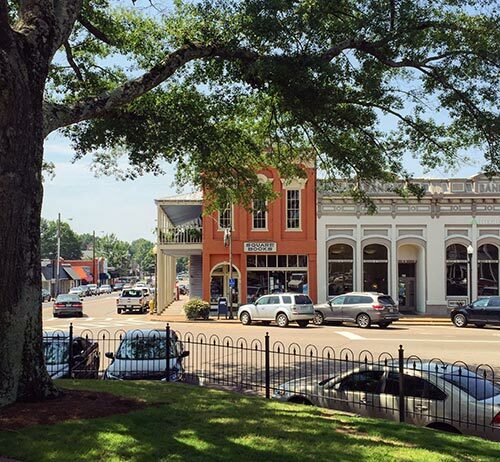 As the county seat and cultural heart of Lafayette County, Oxford, Mississippi encapsulates southern hospitality and small-town charm. As beautiful as it is friendly, residents of Oxford enjoy a storied past and a promising future. Anchored by the historic University of Mississippi, founded in 1848 and known as "Ole Miss," Oxford’s population of 19,000 benefit from an academic environment and incredible and a consistently low unemployment rate. The public schools in Lafayette County and Oxford regularly receive the highest rankings available, and Oxford has been named one of the top six college towns in the nation. Mix in attributes such as a reasonable cost of living, high-quality medical care and a low crime rate and it obvious why Oxford continues to attract new residents. Infused with a diverse population attracted to Ole Miss and its vibrant spirit, Oxford offers the best of dining choices and a variety of local shops. At the heart of it all is the town square, called simply "The Square" where a variety of restaurants that are sure to cover every possible taste your palette craves. Augmented by many clothing stores, professional offices and specialty stores, The Square is a wonderful place to meet old friends and make new ones, too. Residents of Oxford enjoy a storied past and a promising future. Ole Miss sporting events are popular throughout the year, but Oxford offers something to entice anyone throughout the year. During the spring, The Oxford Conference for the Book, brings in fans across the country of Oxford's best known resident, William Faulkner, and others who love to read. The arts are also celebrated during spring’s Double Decker Arts Festival. During the summer, residents and visitors enjoy the Oxford Film Festival and the LOU Summer Sunset Series presenting various musicians every Sunday. Faulkner is again the focal point of the Annual Faulkner and Yoknapatawpha Conference in July. Throughout the year, various artist series and the Brown Bag Luncheons and Lecture Series draw impressive crowds. Outdoor enthusiasts in Oxford delight in its location near Sardis Lake on the Little Tallahatchie River, which boasts sandy beaches and boating opportunities. Just minutes away from Oxford is the John W. Kyle State Park where camping, swimming, tennis, golf and many more outdoor activities allow residents to enjoy Mississippi's natural beauty. Named one of America's "50 Most Alive Places to Live in America" by the AARP's Modern Maturity Magazine and is a favorite destination for those looking to retire, Oxford is everything you are looking for in a peaceful and progressive town to call your next home. Looking for Oxford homes for sale? Search our local listings databasefor access to listings in Oxford and surrounding areas. Whether you want to buy or sell Oxford real estate, you can browse through properties or find a wide variety of real estate resources available on this website. If you are looking for a Oxford REALTOR®, choose Sample & Poole Properties! As your Oxford real estate company, Sample & Poole Properties can assist you with all of your home buying and selling needs. We can provide you with access to the local listings database and offer our experience and knowledge to make the home buying or selling process easier for you and your family. Contact Sample & Poole Properties today to get your home search started!